Google’s annual report showed that people watched YouTube 60 percent more than last year, and the trend of growth its popularity is likely to continue in 2017. Youtube is a popular video sharing network which ranks higher than Facebook, Twitter, Instagram, Snapchat or any other popular social network that there is. Youtube boasts about 1 BILLION active users on it’s site every month, basically every 1 out of 3 people on the Internet use Youtube. 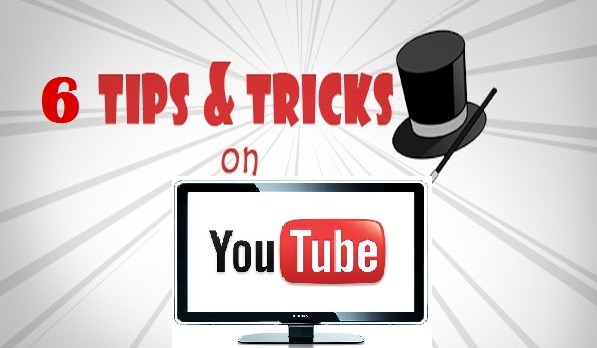 Accordingly, we give you six YouTube tips and tricks that every user should know in the year 2017. Many people use YouTube as a database of licensed music. On the one hand, Google perfectly bans pirate copies, imitators, and fake accounts, but on the other – in the presence of streaming services, it looks strange. However, if you want to find the latest tracks or albums to your favorite artist, use the “#” symbol in the search. Next, write the name without spaces and get a collection of popular hits and songs. To search for multiple words at the same time you need to indicate “+” between words (example: iPhone + iPad). If you love to share gif-animation on social networks or instant messengers, pay attention to the service gifs.com. It can help you convert any video to GIF from YouTube. In the address bar just add the prefix “gif” before the word YouTube and press Enter. On the service page, you can select any part of the video, add a sticker or label. Just click on the button “Create Gif” and animation is ready. To save YouTube clips, the easiest way to use the service “peggo.co”. Just copy the link of the video you want and paste it on the main page of the service. Select the type of stored data. Audio will be downloaded in MP3 format (service assigns the name of the artist and album, as well as the cover), and video converts to MP4 with a possibility of choosing its quality. Most modern smart TVs are able to play videos from YouTube. However, not everyone knows that Google’s service allows connecting the TV and the smartphone, which are on the same Wi-Fi network. The YouTube app on your TV settings need the code for pairing and entering it on the smartphone. After the synchronization, you can with just one-click send video from your smartphone to the big TV screen. Another great tip if you use the Chrome browser, is that you can use the free extension “Floating for YouTube”, which unpins the window with a reproducible video and put it on the top of all windows, which is a feature that is available on Youtube’s smartphone app, however for it to work on desktops – you will have to do it manually with the help of browser extensions. If you use other browsers, you’d be able to find them easily as many extensions are available that allow this.